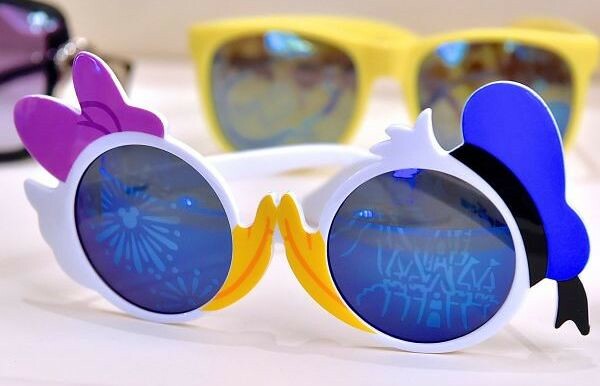 Japan is known to pay great attention to detail and this principle can be clearly seen in the sunglasses at Tokyo Disney Resort. The shape is cleverly romanticized in the kissing pairs of Donald & Daisy or Mickey & Minnie making up the frame. The wonder of its design does not stop there as we take a closer look of what is within the frames themselves. 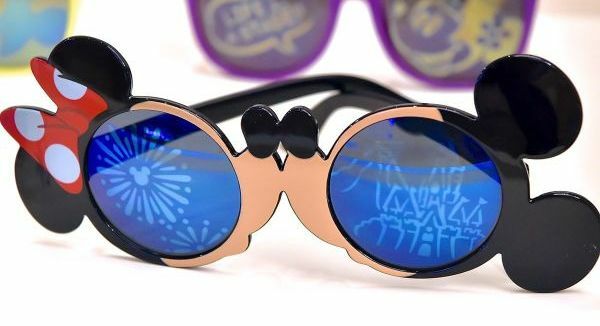 With the lovely Mouse pair, Minnie’s lens shows fireworks bursting from a Mickey-shaped center while Mickey’s lens shows the two representative landmarks of TDR – Cinderella’s Castle for Disneyland and Mount Prometheus for Disney Sea. If M&M isn’t up your creek, try the ducks. 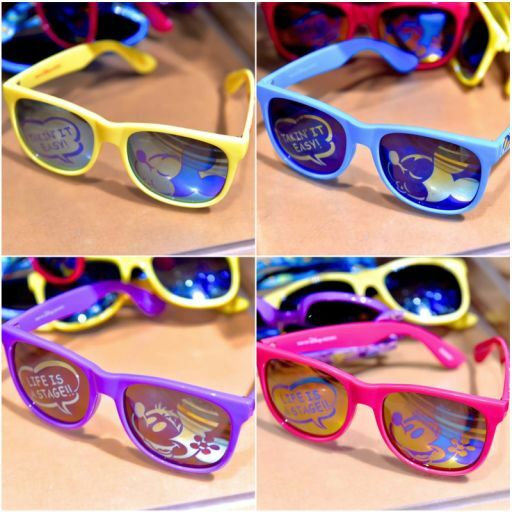 The fashionably smart sunglasses come in both adult and child sizes at a cost of 2000 yen and 1800 yen respectively. If you are looking for a much simpler design, you will find such varieties in the shops also. Classic styles are also available in bright popping colours. The varieties available for purchase on display. 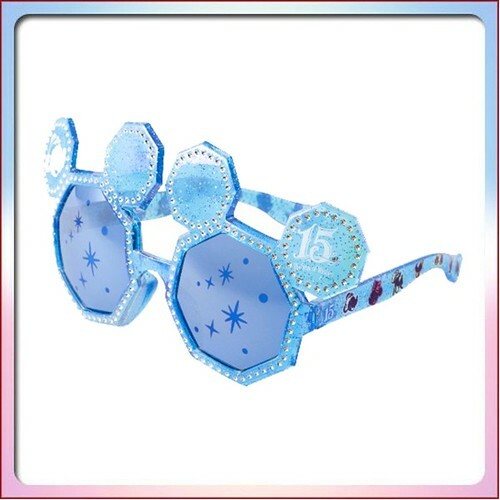 Last but not least is this snazzy blue pair in commemoration of Disney Sea’s currently ongoing 15th Anniversary. 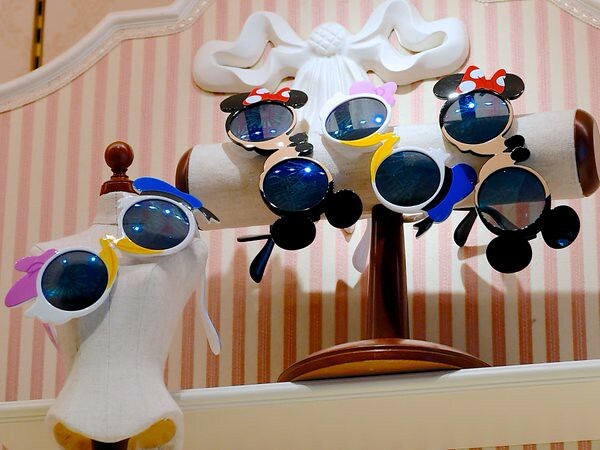 Small icons of Disney characters decorate the temples and the crystals dotting along the frames coincide with the anniversary’s theme. Images credited to Mezzomiki and au mall. Merchandise © Disney.